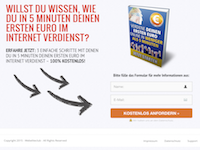 Want to know how you earn your first euro on the internet in 5 minutes? Meet now 3 easy steps with which you your first euro earn online in less than 5 minutes - 100% free! 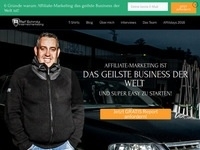 We offer forums ForenStart.de of content from AZ. Our main task is to increase the activity in your forum through our products. Not only commercial operator Forums therefore rely on the services of ForenStart.de, also webmaster of private, non-commercial forums use our service regularly - with great success! The 6 steps to a successful online business. No matter if you want to be successful with your own product or with Affiliate Marketing. In online marketing, these 6 steps are like a blueprint that will make you successful! U-Labs is a multimedia community, mainly with questions and discussions for IT / technology, politics, and social issues. In addition, our members exchange information on almost all topics of daily. Life.